Ambriel has worked in the healthcare field for over 20 years. She started out as a certified nurse’s aide (CNA) at Briarwood Healthcare Center in Needham, MA. She then joined the rehabilitation staff at Oak Knoll Healthcare Center in Framingham, MA as a rehabilitation therapy aide before going back to school in 1996 at Mt. Ida College in Newton, MA to study occupational therapy. After graduating in 1999 with an Associate degree she became a certified occupational therapy assistant (COTA) and worked at Oak Knoll as an Activities Director and also as a COTA at Whittier Rehabilitation Hospital. After taking maternity leave in 2000, she returned to the medical field but shifted her focus away from direct patient care. She worked for 5 years doing medical billing for a primary care office and also as a service associate at Spaulding Rehabilitation for 3 years before joining the staff here at Boston Osteopathic Health in 2009 as Medical Office Coordinator. As Office Manager, Ambriel is responsible for the day to day management of Boston Osteopathic Health. She is generally the first person patients come in contact with whether on the phone or in person. 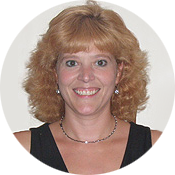 Her broad knowledge base, calm demeanor, and caring nature make her an essential member of our team.